WEST LAFAYETTE, Ind. — A new report pinpoints promising sites in five southwestern Indiana counties for underground operations that can convert coal into a gas for electricity generation, production of chemicals, and plastics and fuels for cars, trucks and aircraft. Researchers from Purdue University and the Indiana Geological Survey prepared the report, which will be presented Thursday (March 5) to the advisory panel of the Indiana Center for Coal Technology Research. The center is part of the Energy Center in Purdue’s Discovery Park. 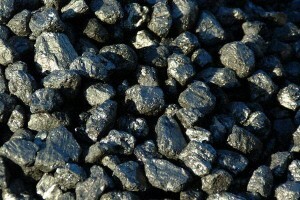 Coal contains carbon and hydrogen, which are vital ingredients needed to produce transportation fuels and chemicals. The report identifies the best sites for the underground coal gasification operations using criteria established by Arvind Varma, Purdue’s R. Games Slayter Distinguished Professor of Chemical Engineering and Head of the School of Chemical Engineering, and former research scientist Evgeny Shafirovich, currently assistant research professor at the University of Texas at El Paso. Varma and Shafirovich established seven primary criteria, including two major requirements: the coal deposit should be at least 1 meter and preferably 2 meters thick, and it should be located at least 60 meters underground. The Indiana sites are located in the southwestern portion of the state in two large coal deposits, the Springfield and Seelyville coal beds. Indiana possesses deep stores of coal that would be ideal for underground coal gasification but are otherwise uneconomical to mine, he said. Another advantage of underground coal gasification is that it would enable the state to more efficiently capture and store – or sequester – carbon dioxide, a greenhouse gas. The report identifies nine “promising zones” in the two seams for potential operations in Knox, Gibson, Vanderburgh, Warrick and Posey counties. A follow-up study is required to provide more detailed information about the sites and to perform geological, chemical and engineering evaluations, Varma said. The report was written by Varma, Shafirovich and Indiana Geological Survey geologists Maria Mastalerz, Agnieszka Drobniak and John Rupp. “The IGS colleagues were full partners in this study and contributed through their detailed computer data banks of coal deposits in the state as well as enormous background obtained through years of investigations,” Varma said. Although underground coal gasification was invented decades ago, it has not seen widespread commercial application except in the former Soviet Union. The coal gasification process is usually performed in metal reactors called “gasifiers,” which are placed above ground. However, such gasifiers require the coal to be mined, transported and stored, whereas underground gasification is performed directly in the ground, eliminating these steps, Varma said. The method turns coal into a gas by injecting steam and oxygen or air into the seam. The gas can then be used directly to generate electricity, turned into gasoline and diesel fuel, or used to make industrial chemicals, plastics and textiles. A pilot plant is planned in Wyoming, with Australia-based Linc Energy Ltd. expected to break ground in the fourth quarter of 2009. The company aims to produce a minimum of 40,000 barrels per day of diesel and jet fuel from its initial commercial operations. The report recommends more detailed geological, chemical and engineering studies that identify the optimal Indiana sites and also recommends that state officials initiate discussions for developing a pilot plant by establishing “cooperative agreements” with organizations and companies having expertise in the process, including Lawrence Livermore National Laboratory, Ergo Exergy Technologies Inc. and Linc Energy. Gas produced from coal, referred to as synthesis gas or syngas, can be converted into transportation fuels using a process called Fischer-Tropsch synthesis. The new criteria will help energy companies and governments select the best sites for coal gasification operations. Varma and Shafirovich detailed the criteria in a review paper appearing in an upcoming issue of the journal Industrial & Engineering Chemistry Research. The new report focuses only on Indiana. “The most important requirements are that a site must contain large, thick and deep enough seam to justify the effort and expense of building a plant,” Varma said. The research was supported by the Indiana Center for Coal Technology Research.